The conference dinner will take place on Thursday, February 7 at 19h00. It is our pleasure to invite all participants to Het Smaaksalon, located in the inner city of Hasselt. 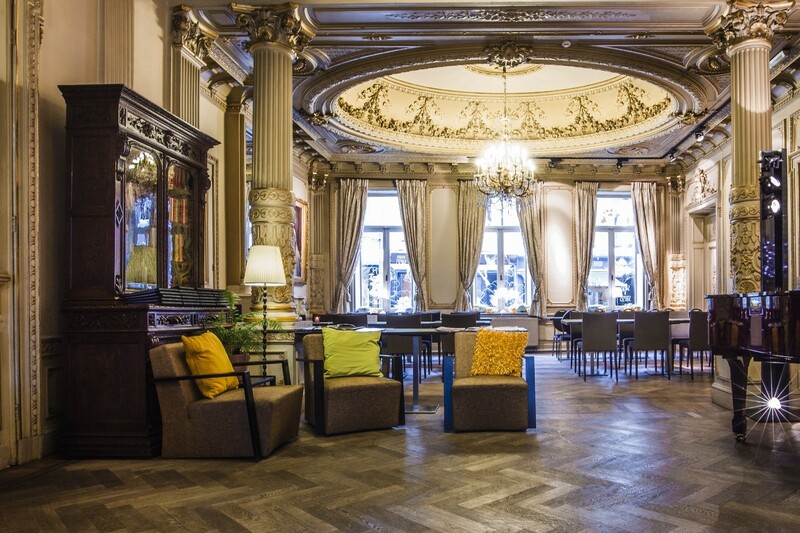 This restaurant, integrated into the stylish decor of Huis de Corswarem, is renowned for its creative and refined dishes based on regional and seasonal products. The dinner location can be reached on foot from the conference venue (± 650 m.). Huis de Corswarem is a stately neoclassical mansion, built at the end of the 19th century to symbolize the prestige of the prominent family de Corswarem. Its interior includes a beautiful neo-Gothic party room with a remarkable mantelpiece and stucco ceiling decoration. The salons in neoclassical and neo-Renaissance style are also worth seeing. After being acquired by the city of Hasselt in 1939, the mansion housed, inter alia, the music conservatory and city archives. Since 2012, it houses the city’s Tourism office and Het Smaaksalon, honoring the status of Hasselt as the “Capital of Taste”. Architect Vittorio Simoni recently designed a contemporary glass extension against the side wall of the mansion to optimally integrate it into the cityscape.